The iPhone 5. As in five million units sold over the course of a … weekend. Can't say no to that. This is the latest installment in the smartphone series that changed the mobile phone industry and we can understand people couldn't wait. Now, what is it they couldn't wait for? The Apple iPhone 5 brings the long anticipated larger screen and more capable internals that we already know are ready to trade blows with the most powerful chipsets out there. There's also the new slender, slimmer body that no photos really do justice to. If all of Apple's claims are true then the iPhone 5 is a real engineering masterpiece - double the performance in a more compact package without sacrificing anything in terms of battery life. They could've done worse. A lot worse. But this is Apple telling you to prepare to be wowed. So you have every right to play hard-to-please. 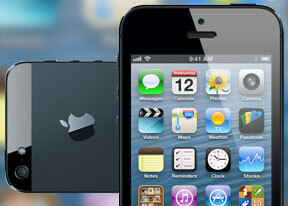 Should the iPhone 5 be worried about not doing quite enough in terms of new design and features? That question sounds ridiculous considering the sales numbers. But there's a long-term perspective that goes beyond a record-breaking opening weekend. People who thought the iPhone 4S was a half-hearted effort, are rightfully expecting the iPhone 5 to be the real upgrade of the brilliant iPhone 4. In the end, though, there's more to a smartphone's real worth than dry specs. Apple has, on multiple occasions, been able to produce devices that are better than the sum of their parts and few will be surprised at the iPhone 5 pulling off a similar trick. There's no time to waste, so follow us to the next page for the unboxing and hardware inspection of Apple's latest. We'll also take a close look at that sweet new display and see whether the claims about it being the most advanced in business hold water.